The University of Wisconsin-Platteville leadership team is committed to the vision of the university and promoting student success, growth, and opportunity. Leading this charge, for nearly a decade, is Chancellor Dennis J. Shields, who has overseen a tremendous growth in students, programs, facilities, and opportunities. He led the construction of two residence halls and—most recently—the successful efforts to gain approval for a $23.7 million renovation project for the university’s primary science building and the construction of a new, $55 million engineering building. The culmination of these projects will be transformative for the campus, opening the doors for all students to personal and professional rewards. The leadership team is committed to providing an affordable, high quality education that prepares graduates for in-demand career fields. That is why UW-Platteville is consistently rated among the most affordable institutions in the state, with a high return on investment. Chancellor Shields has spearheaded efforts to engage in local communities, forging partnerships with industries and corporations that yield benefits for our students and the community. This collaboration ensures that when students graduate they are ready to meet the workforce’s needs. Dennis J. Shields has been the Chancellor of UW-Platteville since 2010-11. An Iowa native, Chancellor Shields earned his undergraduate degree in business administration from Graceland College in 1977 and his Juris Doctor from the University of Iowa College of Law in 1982. Immediately prior to becoming chancellor at UW-Platteville, he served as acting vice president of Student Affairs at the City College of New York – City University of New York. He has held administrative positions at the Phoenix School of Law, Duke University School of Law, the University of Michigan Law School, and the University of Iowa. He has been actively involved in the national dialogue around diversity and inclusion in higher education. 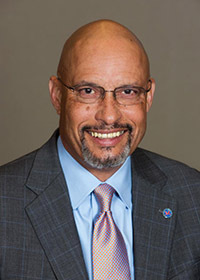 Chancellor Shields has served as chair of the Diversity and Inclusion Working Group of the National Collegiate Athletics Association, Division III. Over the past decade, the racial and ethnic diversity of students at UW-Platteville more than doubled. In fall 2016, racial and ethnic minorities made up nearly 10 percent of the student body, compared to less than 6 percent in fall 2009. In addition, the profile of racially and ethnically diverse students has shifted from being primarily African-American to include a higher proportion of people who identify as Hispanic or Asian. Read more about Chancellor Dennis J. Shields. Dr. D. Joanne Wilson has been at UW-Platteville for 30 years and began her role as Provost and Vice Chancellor for Academic Affairs on July 1, 2017. She has served UW-Platteville in many capacities since 1986, including assistant professor of general engineering, chair of general engineering, executive director of First Year Experience, interim dean of the College of EMS, interim assistant chancellor for Student Affairs, and assistant vice chancellor for academic affairs. Wilson received her bachelor’s degree in applied mechanics and engineering sciences from the University of California at San Diego, and her Master of Science and Ph.D. in engineering mechanics from University of Nebraska, Lincoln. 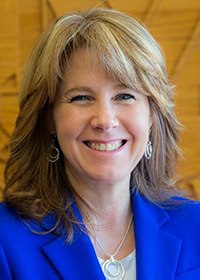 Wilson has received many accolades, including the inaugural UW-Platteville Woman of the Year Award, the Tau Beta Pi Wisconsin Epsilon Chapter Excellence in Teaching Award, and the UW System Underkofler Excellence in Teaching Award. Angela Udelhofen was appointed Assistant Chancellor for Admission and Enrollment Services in 2011. Prior to that appointment, she served as director of Admission and Enrollment Services at UW-Platteville since 2003. Udelhofen earned both her undergraduate degree in broadcast communications and master’s degree in agricultural industries and economics from UW-Platteville. She became Vice Chancellor of the newly-created division of Enrollment and Student Success on July 1, 2016. 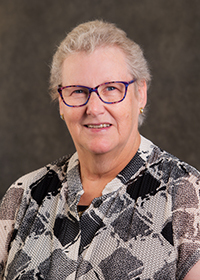 Rose Smyrski returned to UW-Platteville in February 2015 as senior special assistant to the chancellor following her one-year leave of absence to assist the UW Colleges and UW-Extension as interim assistant vice chancellor of communications and external affairs. On July 1, 2015, she was appointed interim vice chancellor for the newly-created External Relations division. Smyrski was special assistant to the chancellor in 2012, and prior to the appointment, she served as the interim legislative liaison. Before coming to UW-Platteville in fall 2011, she was the chief of staff for a Wisconsin state senator for six years. She also was a research assistant for a state representative and served as a legislative assistant for other state senators and representatives. Her federal experience includes six years with the U.S. Department of Agriculture as a liaison between researchers and federal, state, and local governments. 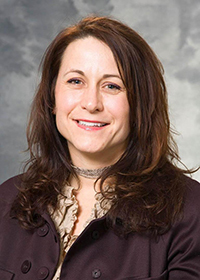 Smyrski earned her Bachelor of Science in natural resources and her master’s in developmental policy and public administration from UW-Madison. Paige Smith joined UW-Platteville in April of 2018 to serve as interim vice chancellor of Administrative Services and to oversee the institution’s strategic planning initiatives, planning, and development. Smith began her work in higher education in 2003 where she served as legal counsel for Southern Illinois University and then transferred to UW System in 2010. Smith’s area of expertise included labor and employment, academic affairs, student affairs, student health care, Title IX, diversity and affirmative action, shared governance, campus safety and security, risk management, procurement, federal and state regulatory compliance, and litigation management. 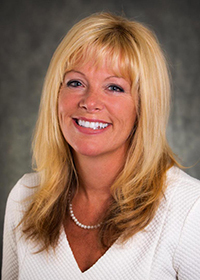 She took a senior leadership role in higher education administration in May of 2016 when she served as chief of institutional policy and compliance at UW-Whitewater. In that position, she was responsible for providing oversight and advice to the chancellor and senior administration on Board of Regent policy, federal and state compliance matters as well as the Title IX Coordinator. Smith also served as interim vice chancellor for Administrative Affairs at UW-Whitewater for a brief period in 2017.